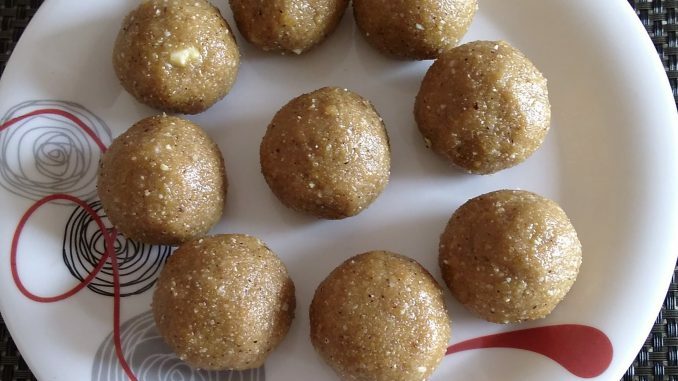 This is my own recipe that gives a delicious twist to a standard Laddu recipe. Poha laddus are very easy to make. It does not require long hours of roasting and no problematic Chasni (Sugar Syrup) preparation. Addition of honey not only enhances the taste but also reduces the Ghee (Clarified Butter) requirement for Laddus. Try this recipe and let me know how you find it. 6. Grind Poha into a coarse powder; add jaggery to grinder and grind together. 9. Add honey and mix. 11. Add cardamom powder and mix. 12. Roll Laddus of desired size. 13. Delicious, healthy Poha Laddus are ready. 14. 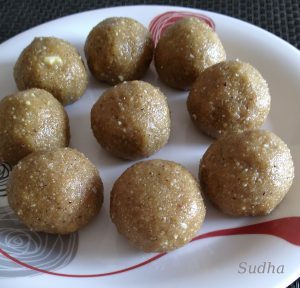 These Laddus can be stored at room temperature for 3 weeks.